Hookah coals are a very important element which contributes to a pleasant smoking experience. The correct hookah coal type will distribute the right amount of heat in order to heat up the shisha tobacco. 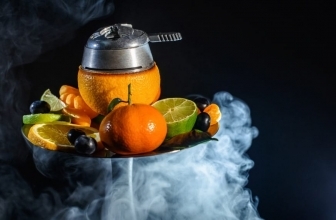 However, coals are often an overlooked aspect of shisha smoking. 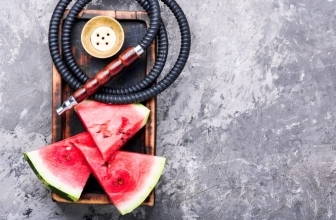 In this article, we are going to discuss the necessity of using high-quality natural coals (most of them are coconut charcoals), the differences of various coal types and to review and show you the best hookah coals in 2019. Please keep in mind that the list below is not sorted in any way rather than randomly reviewed products. Choose your hookah coal wisely! While most new hookah users prefer to use quick light charcoal, in this guide we are going to focus on reviewing natural hookah coals. Even though quick light coals are quick and easy to use, we feel like natural coals are way better on all the other factors. Let’s start with the best brands of natural hookah coals. At this point, I bet that you are very confused. Pick as many coals as you want to light and put them on the burner. If you wish to light more than one coal then the coals should touch each other side by side. Depending on each individual coal and brand the burning time is different. As a rule of thumb, I would say it takes 5-6 minutes to correctly light on the hookah coal. Once the charcoals turn red, are okay to use them. Just place them on your hookah and start your smoking session. 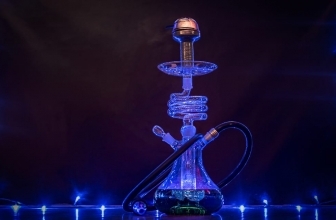 Now that you learned how to light the hookah charcoal let’s see the best options when it comes to choosing the next coal brand for your hookah. 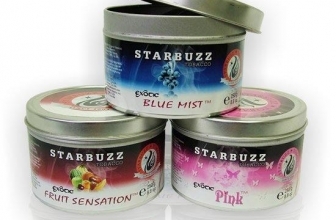 This is a premium quality Quick light hookah coal made by Starbuzz, the famous shisha flavor brand. It comes in a box of 10 40mm rolls with 10 pieces each. 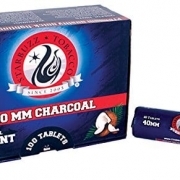 This sums up to 100 coals that will offer amazing and convenient smoking experience. Starbuxx Coconut Shell charcoals are chemical free and environmentally friendly. Their burning time is 40-50 minutes per coal which is considered pretty good. 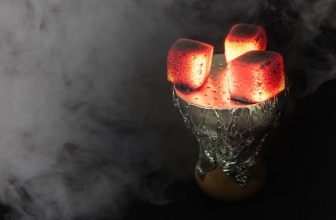 Quick Light Shisha coals mean that the coals can be lit with a lighter or a torch. This is very convenient if you do not have access to a burner or a coal heater. Again this is another top-quality product that is made of coconut shell. Similar to the Starbuzz coals, Red Cube Coconut coals are environmentally friendly and chemical free. Red Cube charcoals do not produce any spark, smoke or smell. This product has no taste and an excellent burning time with minimal Ash Residue. The company claims to understand the needs of their valued clients and develop products based on their multiple kinds of research. Some of the clients that are using this product are extremely happy with it. The Ecocha coconut hookah coals gained quick popularity on their following because they are really high-quality charcoals. Once people started caring about the quality of their coals, Ecocha following started growing. 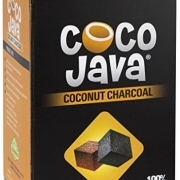 These are 100% Organic coals made from natural coconut shells. No chemicals or propellants are used when these charcoals are created. This specific product comes in a 108 pieces box which will last for a long period. HOWEVER, these are not quick light coals. This means that you will require a burner or a coal heater to light them. Because these are organic, there is no Taste, Odor or Chemical in them. 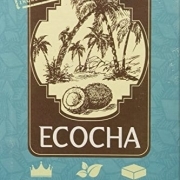 Ecocha manufactures their products in Indonesia which is known for the high-quality coconuts. k Diamond is a purely natural product made of 100% coconut shell. The coals are cubed shaped similar to other products that we have seen so far. This charcoals, however, are a bit larger than other coals which help them last longer, produce higher temperature, offer a pleasant smoke and make less Ash. Like all the products that we are reviewing, these are natural organic coals without any chemicals, nitrates, glues, and fillers. The manufacturer uses the highest quality natural coconuts to produce this product. Therefore you know that you are getting a top quality ECO-friendly product. We recommend that you try this product at least once. It is an amazing quality product. 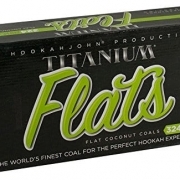 Titanium Natural Coconut Hookah Charcoal is made from 100% natural organic coconut shells. 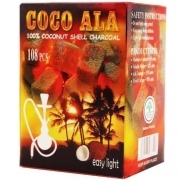 The company claims that they are the ONLY hookah coals on the market that are truly made form 100% coconut shells and do not contain anything else in them such as wood or other fillers. However, this is not true since we saw many hookah charcoals so far that are made 100% from coconut shells. Still, this is a top quality product. This brand of coals has a rectangular flat shape which helps them burn overall at a lower temperature and maintain a steady heat for a longer time. One should expect a 1 and a half hour burning life from Titanium Natural Coconut Hookah coals. This product contains 324 flat pieces which will last for many shisha bowls. 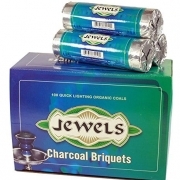 Jewels Charcoal Briquets are top grade organic hookah coals. 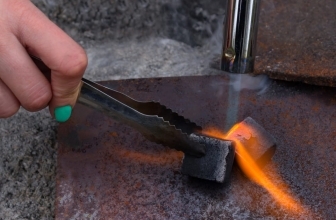 These coals are quick lighting which means that they can be lit with a lighter or a torch. Nevertheless, these products are optimal if you do not have access to a burner or a charcoal heater. They came in a box of 100 pieces. 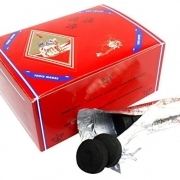 It is a good option if you are looking for quality shisha coals but you cannot get non-quick lighting ones. Three King Charcoal is a brand producing premium-quality hookah coals. What this means is that these coals are not only quick lighting but also premium clean-burning. Three Kings are produced in Holland. These coals are so good in quality that it is possible to fully light them in less than a minute. However, Three King made sure that the quality is similar if not better with coals that are not quick lighting. The company claims that these are burning 3x longer than any other coal. This is not true, however, since we already saw coals that are burning for up to an hour and a half. 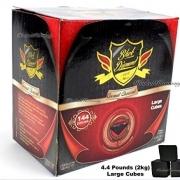 Nevertheless, Three King premium shisha charcoals are premiums and the choice for the most demanding users. Coco Ala Charcoal has a uniqueness. It produces a dry briquette so it is very easy to burn. Therefore, Coco ala coals can be easily lit on the top of a stove. These natural charcoals are a top choice for many hookah enthusiasts since they are considered Value for many. Let us get it correct. These are not some cheap hookah coals. However, this unique 100% natural hookah coals are premium quality for their price. Therefore, we consider these to be value for money. Same as the previous options, Coco Ala Coals are odorless and tasteless. Last but not least. We kept this for the end since is my personal favorite product. 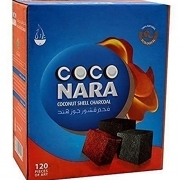 In my opinion, Coco Nara Shisha coals are one of the best coconut charcoals available. Coco Nara achieved to position their brand as a specialist in charcoals. Therefore, the quality of these coals is far to compete with other products. These coals, however, are not quick light coals. You will need to be prepared to spend 5-8 minutes near the burner or the coal heater before these coals are truly lit. Again, this product is tasteless and it won’t ruin your shisha flavor. it lasts up to an hour, which is considered well above the average. Some more specifications are that these coals are 100% natural and leave a VERY low of ash behind (less than 5% ash). If you are really serious about smoking top grade shisha with the best equipment then definitely Coco Nara is for you!